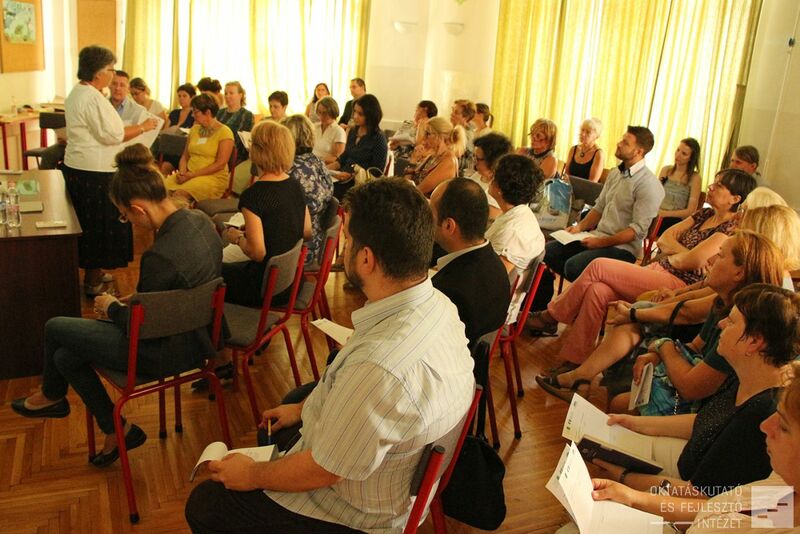 The Hungarian Institute for Educational Research and Development organised an Erasmus+ KA2 project workshop conference on the 30th Aug 2018 called ’Student Voice – The bridge to learning’. 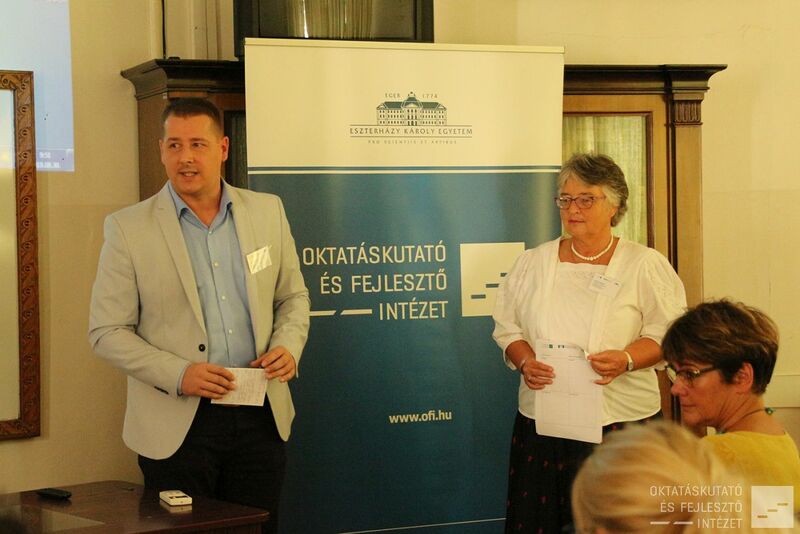 The conference was held at The Hunfalvy János Bilingual Secondary Vocational School of Economics and Trade of BGSZC. 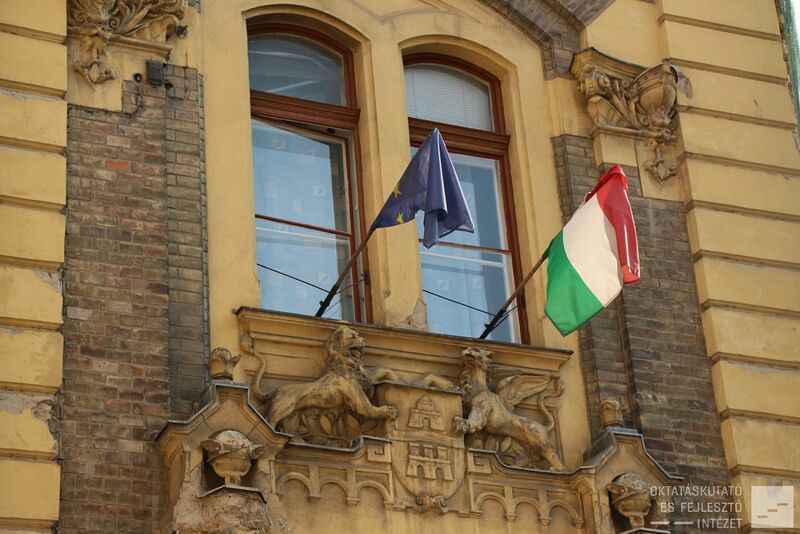 In the international project of the Erasmus + program started in 2016, five European Union countries (Netherlands, Ireland, Hungary, Scotland and Slovenia) have educational institutes for education and development and 15 schools. 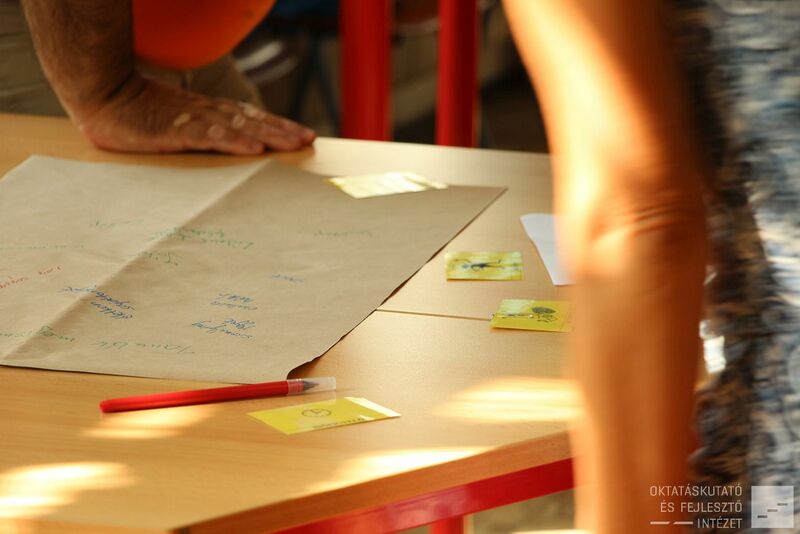 The aim of the project is to develop a methodological toolkit, training models and teacher training courses, and to develop good practices that enable students to actively participate in the management of their own learning activities. As a result, mutual trust between teachers and students can be enhanced. The personality of students can develop, while learning can be a joy to them. 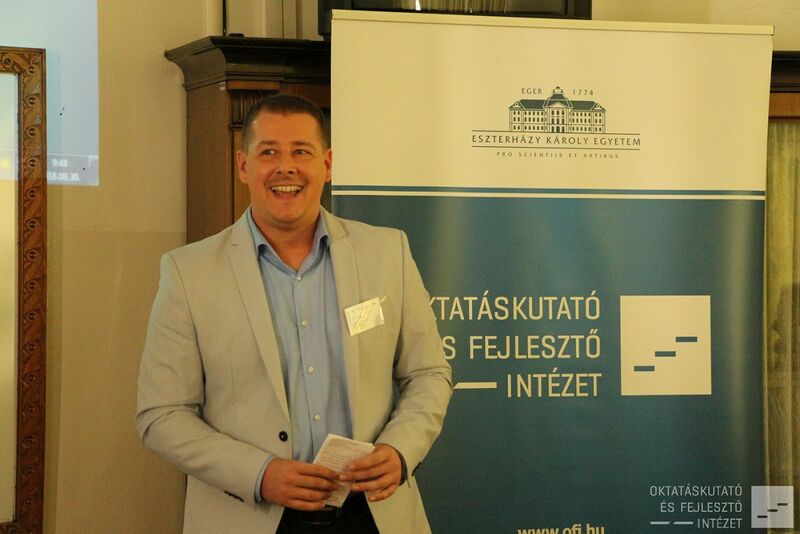 Gábor Kiss, head of the EKE OFI Knowledge Management Directorate in his introductory speech, said that 2018 is an important year in the first place, because this year the graduates of the 21st century have been born, but their teachers were born in the last century. The tension between the new and the last century should not hinder the participants of the education to recognize and develop such up-to-date and key competences as pupils 'activity, ie students' decision-making responsibility in their own learning processes. 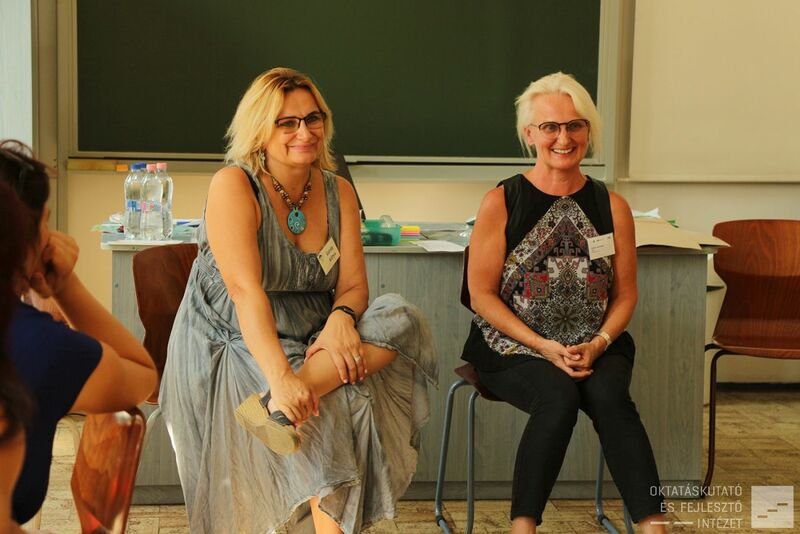 At the workshop conference, interested teachers could attend four different learning-by-doing workshops, each presented an aspect of the Student Voice project. 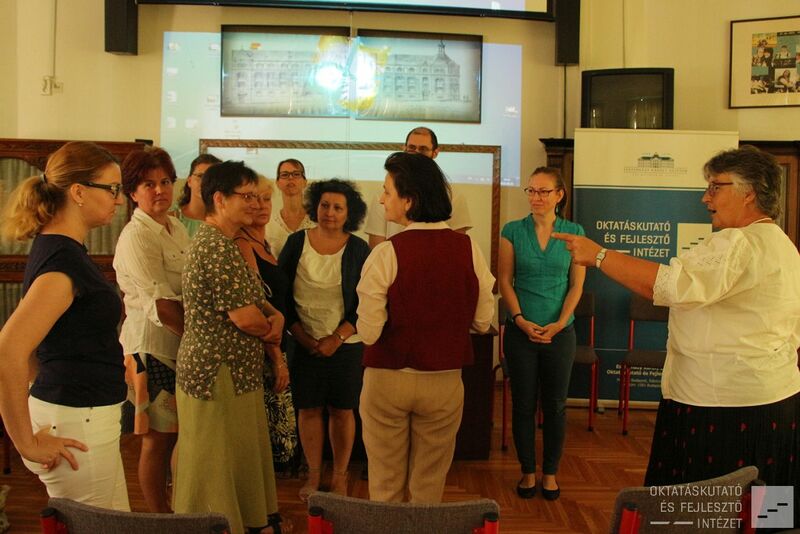 Dr. Mária Szabó, an expert at EKE OFI, leader of the Student Voice project, ran a workshop called Well-being and Success workshop. 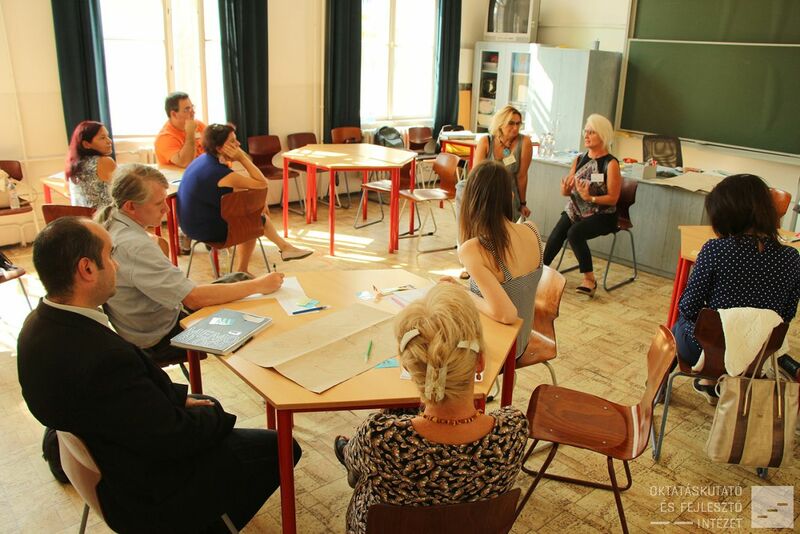 Participants could work with their own well-being and discussed the impact of the school on student well-being and how it interacts with the success of the learning process. 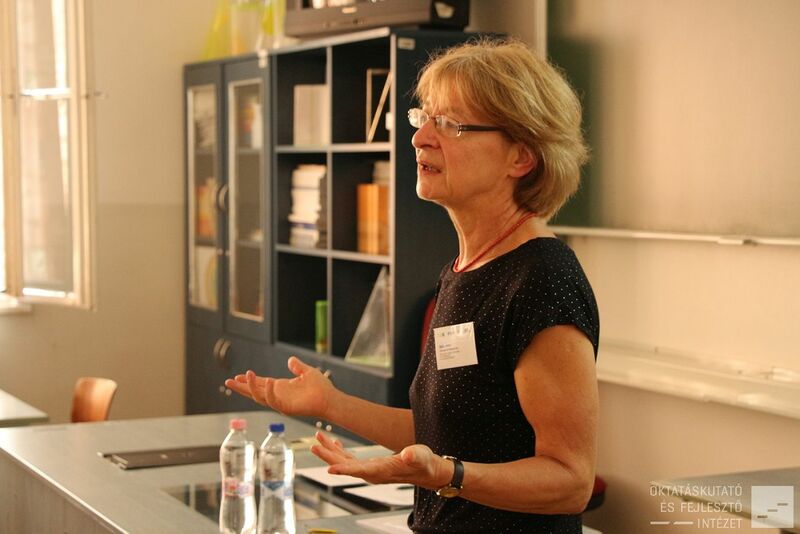 Anna Imre PhD, senior research fellow of the EKE OFI ran the workshop called ’The Voice of Students: Background of the Question and Research Experiences’, and discussed personalized teaching as a paradigm shift with the teachers visiting the conference. 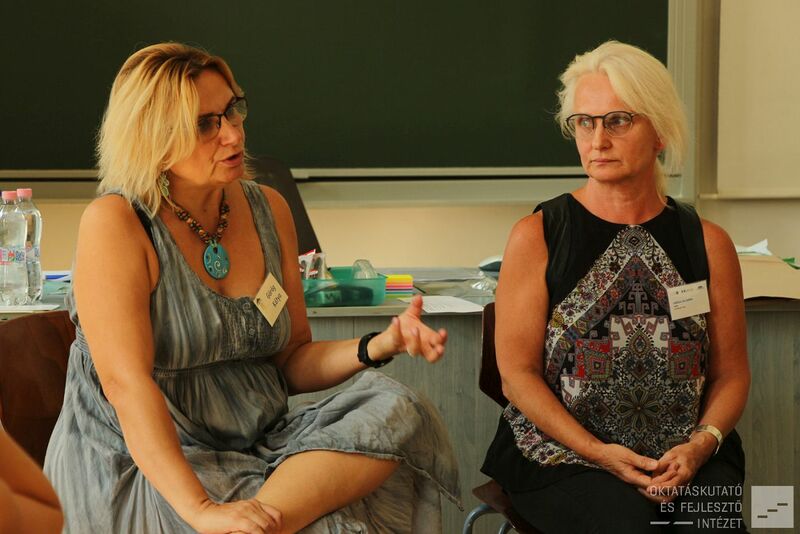 Julianna Varga and Katalin Görög, teachers of the Children's House showed different ways of how to get to know students in a playful way. 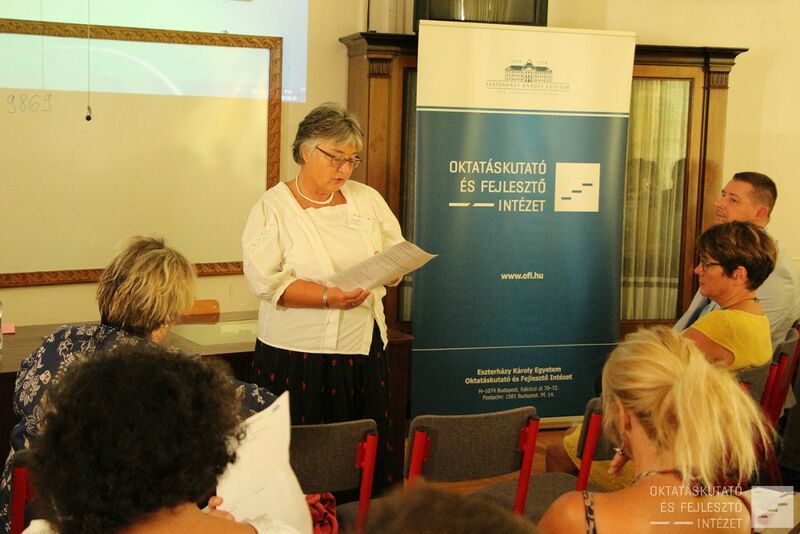 Lucia Kákonyi is an English teacher at Hunfalvy and a former pedagocial development officer of OFI. In the workshop called ’Individual Learning Paths’, she talked about the possibilities of implementing the learning outcomes approach and using the learning standards and leveled tasks developed by the OFI. 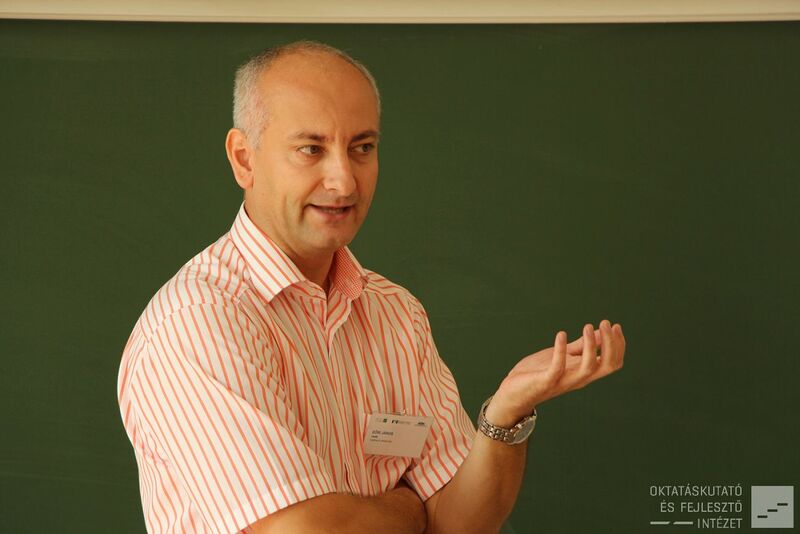 János Eőri, a Hunfalvy mathematics teacher, co-leader of the workshop, presented the practical application of the learning outcomes approach with the project of stress-free evaluation for the participants. Viktória Hamvas and Máté Ferencz 12th grade students shared their personal experiences in order to make the effectiveness of evaluation based on personalized learning even more credible for student participation and responsibility. We can infer from the activity and feedback of the teachers participating in the workshop that it is important for students to develop their own learning processes responsibly in the 21st century. LELLE, but not at Lake Balaton! 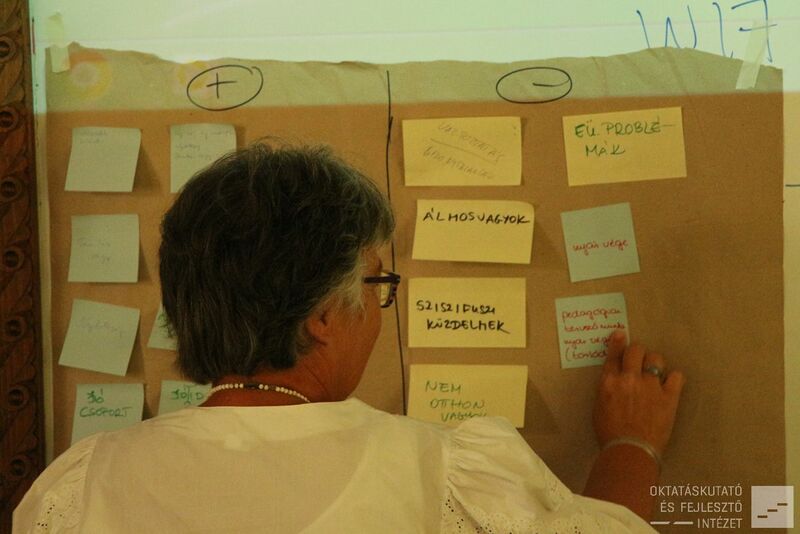 The project partners – universities, researchers and developers, teachers of secondary schools – work together by the leadership of the Pannon University. Their aim is to contribute to the development of the secondary school students’ learning skills, necessary to successful work in the 21st century. 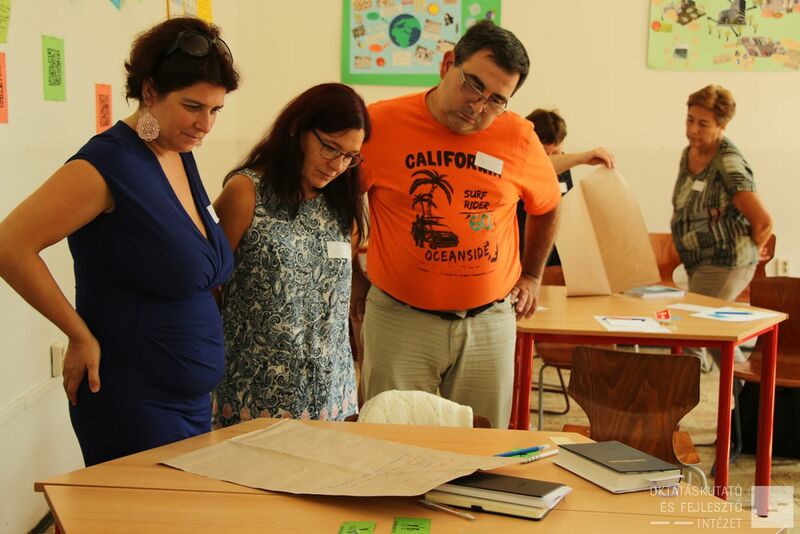 The third workshop organized for the Hungarian partner schools of the Erasmus+ Student Voice – Bridge to Learning project came to pass on the 28th of June.artner schools of the Erasmus+ Student Voice – Bridge to Learning project came to pass on the 28th of June. The topic of the upcoming session was the review of the European Framework of Key Competences. The first workshop organized for the partner schools was held on 7th March 2017 at EKU- HIERD (Eszterházy Károly University Hungarian Institute for Educational Research and Development) covered the following topic: Student voice and the student-focused learning. The second Student Voice project meeting was held in Dublin, Ireland on 18-19th January with the participation of the five partner institutions from Ireland, Scotland, Hungary, Slovenia, and The Netherlands. The purpose of the meeting was to prepare evaluation tools at national and transnational level and plan further steps of the project. Representatives of the Hungarian Institute for Educational Research and Development (HIERD) Lucia Kákonyi, manager of the Student Voice – The Bridge to Learning project in Hungary, and Gábor Rózsa, IT expert, took part in the first project partnership meeting of the ERASMUS+ Student Voice project which took place in Ljubljana, Slovenia. The international tendencies of education for sustainable development (widely known as ESD) were the topic of the fifth afternoon tea of this year. Leaders of the HIERD (Hungarian Institute for Educational Research and Development) met Lauren Conn and Stacie Kronthal, representatives of Discovery Education at the University of Southern California in Los Angeles. On the last week of November two representatives of the Hungarian Institute for Educational Research and Development (HIERD), József Kaposi (director general) and Zoltán Pompor (deputy director general) will visit the USC Shoah Foundation in Los Angeles.